Our lovely Country Cottage Apartment is one of two luxury apartments at Claremont House. 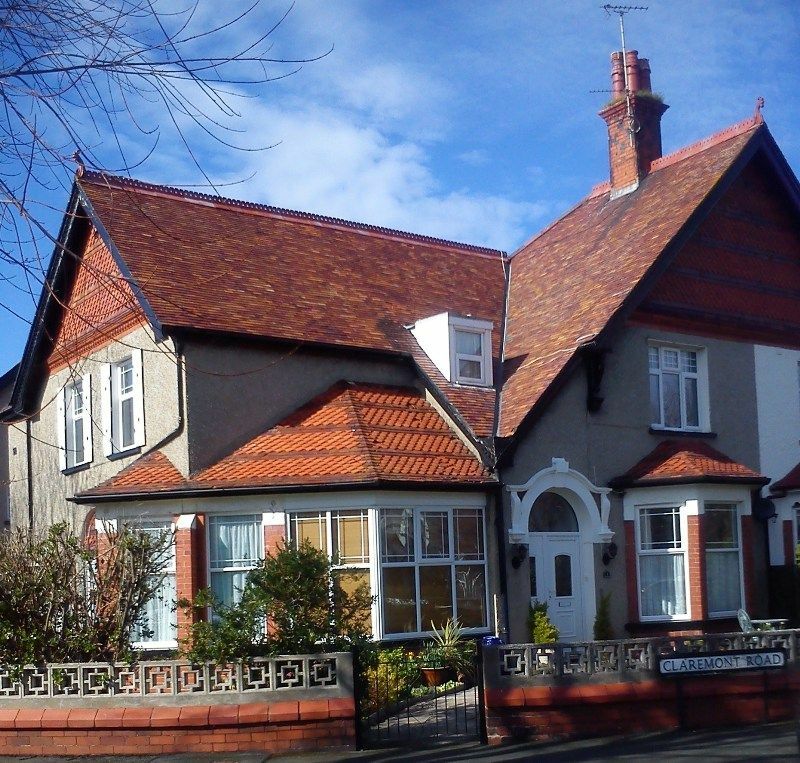 We are situated in a beautiful, tree-lined road - known as the 'garden of Llandudno' - in the historic, Victorian,seaside town of Llandudno on the north wales coast. We are situated in a quiet area of town yet only a couple of minutes walk from beach ,promenade and pier, all shops and restaurants, theatre, bus station and train station. The first floor apartment is situated on two floors and is newly renovated for 2014 and is decorated on a country cottage theme with a modern twist, with all new furniture , kitchen and bathroom. There is one double bedroom and curtained off sleeping corner with single day bed,and a large luxury bathroom on one floor and the other floor comprises of large entrance hall with reading corner, lounge with double sofa bed and easy chairs and flat screen TV with freeview, dvd player with selection of DVD's and occasional furniture. The kitchen/diner is fully fitted including ceramic electric hob and full size electric oven,dishwasher, microwave, kettle, toaster and retro fridge freezer. Spacious dining area with table and 5 dining chairs. FREE WIFI throughout apartment. On arrival you will receive a luxury hamper of local foods. All bed linen and towels are provided. We do accept 1 dog at a charge of £30 per stay payable on arrival. Lovely modern, clean apartment in a great location. Clean and tidy apartment that is well fitted out. This was our second stay at this apartment. It is very comfortable, well kitted out and nicely decorated. Llandudno is a lovely place and we will surely return and book this apartment again. The apartment was well equipped, modern and very clean and comfortable. Beautiful cosy and quiet apartment which is bigger that photos showing, very good localisation, just 5-10 min walk to beach or local shops. Very hopeful hosts.